The eBay Customer Information with the shipping details will be extracted and synced from eBay to Microsoft Dynamics NAV in Customer Card record. Alternately, in Dynamics NAV, one generic Customer can be maintained – all orders can be synced against this particular Customer. 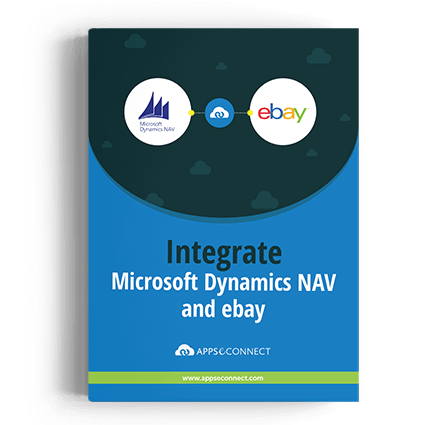 Dynamics NAV Products can be linked with their corresponding eBay Products ID. Products and Descriptions can be synced. ERP Product Groups will be mapped with eBay Categories. Product Listing in eBay is based on Fixed Price Method. When Products are updated in Dynamics NAV, those products can be updated in eBay too. eBay Orders are synced to Dynamics NAV as Sales Order. Order information like Line items, Taxes, Shipping Charges, Discounts from Discount Coupons, Bidding prices shown as discount will sync from eBay to Dynamics NAV Sales Order to provide accurate Order Total. ERP stock updates will update eBay product inventory. Ability to choose one or multiple warehouse’s quantity to be synced to Marketplace. Consider any inventory calculation logic for inventory updation in eBay. When Order is Fulfilled in Dynamics NAV, i.e., the product is shipped, the fulfillment details (tracking details) can be synced back to eBay as Shipment information. Based on this ERP Delivery details, Order Status is updated in eBay and Customer can be notified about shipment in eBay to facilitate better customer experience. Sales in your Marketplace will get reflected at your ERP in real time. You can effectively plan your supply chain. Marketplace sales transactions get automatically and accurately recorded in your ERP. You have complete financial view of your business at any point in time.